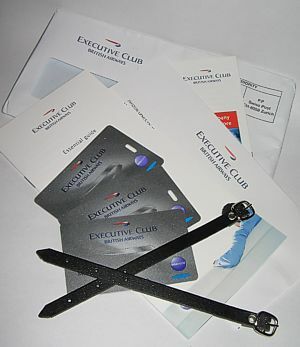 The Executive Club is British Airways's frequent flier programme, and is part of the OneWorld Alliance. 4,500,000 people are members. It does have some good benefits, however it is hard to get status in this scheme, which is what many members want as it allows access to the lounges. When hunting for status, it is easier to join other Frequent Flyer schemes in the alliance, and put the points on those cards. Joining is easy - there are plenty of forms at airports to apply - and it is now possible to join just by taking cheap economy flights. A constant complaint about the Executive Club (or BAEC) is that there are often long delays to get a card, and points often go missing. BA operates a fairly normal "miles" and "point" system. You get miles for the journey you travel (plus a bonus for status or class) and Tier Points (or TPs) according the class of ticket, such as World Traveller (WT) or Club Europe (CE). BA miles will expire if there is no activity on your account for three years. + London to Athens, Helsinki, Istanbul, Larnaca, Moscow, Paphos, Izmir, Kiev, St Petersburg, Thessaloniki, Tunis. To qualify for long haul Tier Points, each sector must be over 2000 miles long. Useful loopholes are that if you travel to Australia, but with a stop over, it will count as two longhaul flights, so you will actually earn slightly more points than if booked as a one flight. Also BA operate some flights that do not originate, or travel to the UK. These, such as Doha to Bahrain, can cost as little as £300 in First, and earn 360 tier points. Quite a bargain, and a useful hike on the way to Silver. Another useful way of gaining BA Tier Points is flying to the US, and taking AA Y-UP Fares, which book into First Class, but which can be very cheap (like the service). However, you'll need to ensure that these flights are over 2000 miles to earn 180 TPs - otherwise, they only earn 60 TPs. A major downside is that only expensive Euro Traveller tickets (class Y, B or H) earn 20 Tier points. Cheap tickets used to earn nothing, but now bring in a useful 10 TPs. You have a Membership Year which starts on the date your first joined, and each year your points reset to zero. 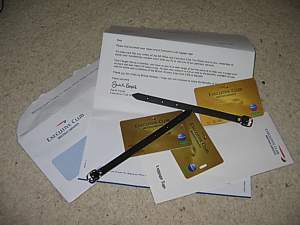 British Airways Executive Club promotional codes are pretty rare: BA like to contact members directly via Email with targeted promotions. You get roughly one mile for each mile you fly, but with deductions for cheap tickets. In UK Domestic, Euro Traveller and World Traveller tickets with restrictions on changes (Ticket classes G, K, L, M, N, O, Q, R, S, V) you only get milesx0.25 - or a quarter of the number of miles. Flexible World Traveller tickets (Y, B, H, J) do not suffer this points degregation, and it is worth spending a few extra pounds, to get out of these ticket classes. World Traveller Plus (WTP in W or T) earns 1.25 BA Miles, Club Europe or Club World (CE or CW in J, C, D, I) earns 1.5 BA Miles and First (F or A class tickets) earns 2xBA Miles. There is a minimum earn on all flights of 500 miles, even if the flight is shorter, except for discount economy fares where the reward is 125 BA Miles. However Gold and Silvers get a bonus on top of this, which can actually be more than the 125 miles. Business class of course earn the "Cabin Bonus", of 50% extra miles, making 750 for a short hop. On subsidiaries which trade as BA, you get full Executive Club miles and points. These airlines include BMED, British Airways CitiExpress, Comair, GB Airways, Loganair, Regional Air operated by Air Kenya and Sun-Air of Scandinavia. You can also earn Miles on other airlines in the OneWorld Alliance, which include Aer Lingus, Cathay Pacific, Finnair, Iberia, LanChile, and Qantas at the same level as you would as if it was a BA flight, except if it is a cheap economy ticket. There are also tier points for these flights, with 20/40/60 points for flights less than 2000 miles, and double this for above 2000 (but not on cheap economy Qantas tickets, only on Y,B,H). If you live in Asia (excluding Japan) different partner airlines apply. Because of the class of service bonus, if you travel in a premium cabin on a flight that also has a codeshare as a BA flight, you will earn more flights if you book the flight as it's BA code, rather than from the operating airline. For some Qantas flights you get virtually the same number miles if you put them on a BA card, but the Tier Points can be much better. For example if you fly from SYD-MEL on a BA flight number (such as BA7443) you earn 120 TPs in Business. The same flight with the QF number (QF443) only earns 40 TPs. A major loophole is that you do earn miles on American Airlines, but not on TransAtlantic flights between the UK or Europe and the Americas (with the exception of the JFK-MAN codeshare). This is seen by many passengers as a strange gap, but was imposed by the regulators the last time BA & AA attempted to merge. You do of course earn normal miles & TPs on any AA route that is not TransAtlantic (for example if you are using a domestic YUP to earn a lot of TPs). Another loophole is that there are no points or miles if you buy a cheap (restricted) economy ticket on another Oneworld member airline and try to claim them on BA. For this reason it is often worth joining Qantas, and putting point on that card - even cheap BA flights earn full Qantas points, which includes status - so status is often possible on Qantas with cheap fares which would earn nothing from BA. However be aware that there is now only a minimum 125 mileage earn on Qantas for cheap BA domestic flights, unlike basic Qantas domestics which earn 1000 miles. Discounted economy tickets also only earn x0.25 miles. However you do earn 10 Qantas Status points on these flights. You can also earn miles on Alaska Airlines, JAL, American West, FlySn (previously Sabenna), and most recently of all you can also earn BA Miles with Malev Hungarian Airlines, BA's latest oneworld partner. Tescos - For residents of the UK, you can also earn miles at Tesco. There is 1 Tesco Clubcard per £1 spent in the stores, and for every 250 Clubcard points earned you can collect 600 BA Miles. You can even rack up Tescos points for strange things like Breakdown cover, and car servicing, which is a great way to get a large number of points very quickly. To convert your points there is a paper form here or you can do it online at here by entering the numerical code from your clubcard voucher. Your BA account address must be the same as your Clubcard address. Tesco and BA used to do this automatically, but you can no longer sign up for this. NEWS: Tesco are currently restricting point accumilation through their scheme. It is rumoured to have become too effective a way to collect miles after a notorious promo in 2003 that gave points for Sparkling Wine, 2005 for beef (at a fantasic rate) and in 2006 for wine. Currently there are few promos, apart from slips given at the tills. Shell - There is 1 Shell pluspoint for every litre of fuel bought, then exchange 1,500 pluspoints for 1,000 BA Miles via www.shell.com NEWS: The Shell linkup is being closed, and BAEC members will soon no longer be able to earn miles at Shell. Bizarely, you can now also earn BA Executive Club miles on a free redemption booking made with Airmiles. To do this, once you have made the Airmiles booking, use MMB and use the Add FF number option, before entering the number of your PNR. Alas they normally only book as the M/O class - which means you only earn discount economy miles, but occasionally you may get lucky and be booked in full Y. You can book Club tickets by calling Airmiles, but they work out ridiculously expensive. You can now also purchase up to 15000 BA Miles per calendar year in increments of 1000 miles. 1000 is £31, while 15,000 miles is £255. This is quite expensive, but if you end up just short of a premium ticket, it can be worth it. Most passengers will never have to tangle with this - but if you are a very frequent flyer you may obtain a CIV score. The CIV score is a number that BA allocate to you to indicate how important you are to them. A high number - and you'll get a lot of effort from BA to keep you sweet. A low number, and well, you're only a silver and will be treated as a normal pleb if things go wrong. Indeed, with a low score and gold and you'll still not get much attention. If you fly very frequently (say, weekly in Club to the US) you may just get up to a good enough CIV score to get up to the Gold Guest List. Information on this is in the Gold Frequent Flyer section. Golds normally score from 39 to 99 on the CIV, with the score increasing each time you take a long haul flight in Club (it is calculated weekly). To get your CIV score you need to you need to make a "Subject access request" in writing to the Data Protection Officer at BA. The simple process applies to UK nationals only - EU nationals can also apply although the process may be slower. Other nationals, such as from the US, can apply although these requests are treated as for information only, and may be refused. Alternatively on an inter-EU flight if you are a Gold you can ask to see the passenger manifest. After the Gold information against your name there is a number. This is your CIV score, but note that some crew will refuse to let you see the manifest - if this fails, try another crew. Note that information about BA keeping this score is kept strictly confidential by BA. If you call BA and mention that you know about BA keeping a score on you they will deny it. BA have never publicly confirmed that the CIV score exists. However your CIV score will dramatically effect your BA experience if you fly so often on BA that your are a Gold at the Gold Guest List level. In economy a domestic flight costs 12,000 miles. From the UK to anywhere in Europe1 is also 12,000 miles, while Europe2 is 20,000, and Europe 3 is 25,000. The Middle East, Central Asia and West Africa comes in at 40,000. Central and South Africa, North America, the Caribbean, Central America, Hawaii and South Asia is 50,000, South America 70,000, the Far East 80,000 and the South West Pacific 100,000 miles. Other classes are also available - World Traveller Plus (WT+) comes in at x1.5 Miles, Club World/Club Europe (Business Class) is x2 miles and First x3 miles. There are multiple free stopovers on redemption bookings. Miles only award tickets are flexible up to 24 hours before departure, but never after that point. Part Cash Part Miles. A new variant for BA is that you can use some miles and some cash to fly. Tickets start at 9,000 plus £20 for domestic flights, to Australia for 70,000 plus £250. Alas, you can only fly in the cheap seats - for a better cabin or the pointy end, an upgrade using miles is the only option. Accordingly Part Cash Part Miles doesn't work out to be a very good deal. unless only one leg has availability for upgrades has now been cured. You can book a one way, but you may have to argue with the exec club to get them to do this. However you do at least earn miles on the fare you purchased. The upgrade from WT+ to Club World is pretty much a bargain - for only 25,000 miles (and a ticket at about double the price of economy) you can travel in considerable comfort to Amercia, or for 50,000 to Australia. From America it is an even better deal, with BA WT+ seats sold at a trivial premium over normal WT seats. Be warned however that discounted tickets (that is not T, I or A class) but tickets that are sold as part of a special sale period (and appear with a big red 'D' next to the price on the website) are not permitted to be upgraded from WT+ to CW. Often reward seats do become available close to the date of the flight - sometimes at 2 weeks before, occasionally even a day before, so even if there is no reward availability when you book, you can still use MFU to move up a class later in the day. Alas the only way to find it out if the seats are there is to continually make dummy reward bookings on ba.com. As soon as it says there are tickets available, that means reward inventory has opened up. If you get really stuck you may only be able to use MFU for a one way upgrade - however it is possible to make two separate calls on separate days to MFU first one segment, then the other. Occasionally the Executive Club call centre refuses to do a one way upgrade, in which case just hang up and try another agent. Note that you can only MFU from or to your membership country. This rule used not to be enforced. Now it is. It is possible to Redeem Miles Online with the BA Executive club. Oddly, sometimes miles are not deducted for these flights. This also sometimes happens with online Miles for Upgrades. You can also redeem miles with other Oneworld Airlines and partners, at pretty much the same level as for BA, with Cathay Pacific, Finnair, Iberia, Lan Chile, Lan Peru, Qantas, Alaska Airlines, America West Airlines, Japan Airlines (JAL), SN Brussels Airlines, and American Airlines. However if two or more oneworld airlines (or three, including British Airways) are used, a miles per miles calculation comes into play. Bronze is a new level BA introduced in 2011. It can be achieved at 300 tier points in your membership year, or 25 eligible flights, however you must take at least two Tier Point qualifying flights operated by British Airways within your membership year to achieve or retain Bronze Tier. There are few perks at this level.In effect it gives a miles bonus and allows passengers to select their seat on BA flights. Techinically however you do get access to the Business class check in, which is a nice perk in itself, along with seat selection on BA flights seven days ahead (instead of the current 24 hours at online check in), a 25% mileage bonus for accumulating miles, priority standby and waitlisting, and access to the Executive Club phone number. Silver is equivalent to One World Sapphire Level. It can be achieved at 600 tier points in your membership year. You must take at least four Tier Point qualifying flights operated by British Airways within your membership year to achieve or retain Silver Tier. There used to be a level of only 400 tier points for Silver if you are a resident of mainland Europe, and some old members will continue to need only this level until late 2014. It is hard work to get here, but worth it as you get access to all of BA's lounges (with a guest as well), even when you're travelling economy. The same benefits apply to all Oneworld airlines, so you can get access to a lounge when on economy. You can also checkin in the Business Class desks. Executive Club Silver members earn a bonus of 25% BA Miles on British Airways and Qantas, which is in addition to the cabin bonus. A major problem with this card is that although it is One World Sapphire, it is also Silver in colour. Most Oneworld Silver cards are at the Ruby level, and Ruby does not give lounge access. You may need to ask lounge staff to look up the access rights for Sapphire cards. On getting to this level your Tier Points reset to zero, ready for the long haul to Gold, and your tier year resets to this date. There is a nasty trick that any points over the 600 level are lost, and it's impossible to get them back. Gold is equivalent to One World Emerald Level. It can be achieved at 1500 tier points in your membership year. There used to be a level of only 800 tier points for Gold (quite a bargain) if you are a resident of mainland Europe, and some old members will continue to need only this level until late 2014. This is known among frequent flyers as the "Eurocheat". Normally it is virtually impossible to get to this level unless you travel on a very regular basis in Club World - it'll take 3 trips in First to Australia to get here. This is very much the Gold Standard of Frequent Flyer Tiers, because it is such hard work to achieve it, and it generally respected worlwide as one of the hardest Frequent Flyer cards to obtain. The irony is, it is 'only' gold coloured, which in most Frequent Flyer schemes has only a low rank: with American Airlines for example, it is just one up from base (oneworld Bronze) while at Qantas it is a middle rank. Make no mistake however, Gold at BA is very hard to obtain; far harder than the same level at Qantas or AA. Golds get an additional "special" Gold availability for premium award seats. Golds can opt to pay 200% of the normal redemption amount for a seat even if no redemption buckets are available. (Note that this cannot be combined with other offers suchs as Amex 2-4-1 or GUF2). At 2500 and again at 3500 tier points (2000 for European members), a BA gold member earns one upgrade voucher. They allow the upgrade of the member and one person to the next cabin for a return trip on any BA flight and can be used on any ticket, even cheap economy tickets. Finally, if you get over 3500 points, and have a very high SIV score, but are not considered commercially important enough for Premier status you will be given access to the Gold Guest List. This is not advertised. 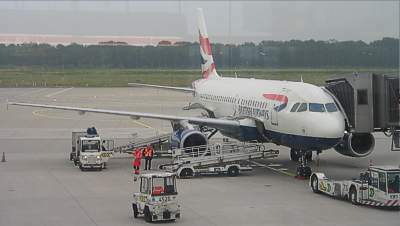 Here you are given a personal number to call BA if you have problems, and you are moved ahead of the seating queues if you have problems with obtaining your normal seat (for example 1A) on a flight. You can also book one trip per year at normal redemption rates even if there is no redemption availability, and provided the relevant fare bucket is available (A/D/I/T) and when no other GGL has done the same on the same flight. The GGL is very useful, and perks at this level should be used with discression. You are also more likely to get an operational upgrade if the plane is overbooked in your booked class, although this rarely happens. One perk has been removed from Golds, to much anquish and shouting from Executive Club members. 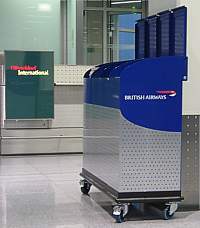 You used to get access to the lounges even when you aren't travelling on a BA or Oneworld flight. This was called "Open Doors access". Alas, this perk was removed in 2010, even though very few people took advantage of it. The Concorde Room Card is a sort of half way house, for those fly so often, they are already Gold, and on the Gold Guest List, but don't quite get the invite to Premier. It can be achieved at 5000 tier points in your membership year. Previously issued by invitation only, the Concorde Room Card allows you access to the Concorde Room at London Heathrow Terminal 5. This is a decent perk in itself, as the Concorde Room is a step up from the usual Gold (First) lounge, and normally you'd need a First Class ticket to get in here. Premier is an invitation only level, with just above a thousand Premiers worldwide. You can't get to it by flying, instead Premier is awarded to people that BA consider are important, and each new Premier has to be approved by the board.